After arriving in Bhubaneswar, you will get an assisted transfer to the hotel. Dinner and night stay in Bhubaneshwar. Day 2 is booked for city tour. 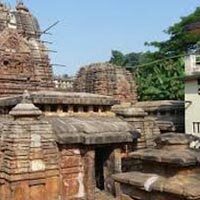 Visit Parasurameswara temple, built in 650 A.D. , Dhaulia complex, built during 3rd century B.C, Lingraj temple of the 11th century A.D.. Stay overnight in Bhubaneshwar. Day 3 is booked for exploring Buddhist triangle of Lalitgiri, Udaigiri and Ratnagiri. Night halt in Bhubaneshwar. Post breakfast, start your road journey to Puri. After arrival, check-into the hotel. Puri is one of the four dhams of Hindu devotees. Spend an afternoon at the beach. Night stay in a hotel at Puri. 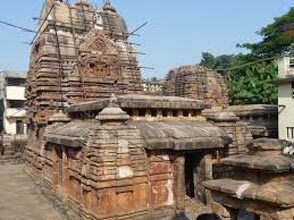 Visit the popular temple and main attraction, the temple of Lord Jagannath and Loknath temple. Do not miss visiting the 150 MATHS, located here. Night stay in Jagannath Puri. After breakfast, start your road journey to Bhubaneshwar, en-route visiting the world-renowned Sun Temple at Konark. The konark Sun temple are popular in the form of crowning glory of the temple art of Orissa. Arrival and assisted transfer the hotel for night stay. Get an assisted transfer to the airport or railway station to catch the flight or train to the onward destination.